We’ve been taking a close look at several different apps for quite a while now. A few months ago, we did a detailed review of Prosper, but noticed that there was something wrong. 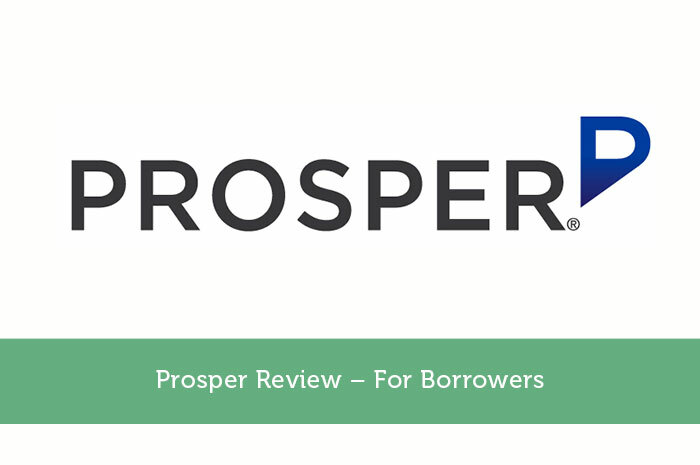 Prosper has two sides; it’s designed for both investors and for borrowers. Therefore, it didn’t make sense to have an all-encompassing review. So, today, we’re going to take a close look at Prosper strictly from a borrower’s perspective. This way, we can get into the intricate details that only borrowers will be concerned with! Prosper is a peer to peer lending platform. Peer to peer lending is a fairly simple idea. The fact is people like borrowing from people more than they like borrowing from banks. Peer to peer lending is a process that has been going on since currency was first created. Friends and family members borrow money from one another on a regular basis. So, companies like Prosper created a platform that allows private investors to invest in loans to their peers. Doing so cuts the banking process out of the lending process and allows community members to support other community members. Get Prosper Loan Details and ApplyGet a personal loan at a low rate! Fixed Payments – With many bank loans, such as credit cards and signature lines of credit, payments are based on your balance plus interest for that period. That means that changes in your balance or in the prime interest rate could increase the minimum payment requirements of the loan. When it comes to peer to peer lending, the payments are fixed. Therefore, you’ll know exactly how much your payment will be every month. Low Interest Rates – When it comes to just about any type of loan, the vast majority of the fees you’ll find yourself paying are interest. The higher your interest rate is, the more you’re going to pay for your loan over time. When it comes to peer to peer lending, you’ll enjoy some of the lowest interest rates out there. That’s because by cutting the banks out of the process, the vast majority of interest goes straight to the investor and lesser amounts of interest are needed to secure the loan. Enjoy Less Fees – Because banks are publicly traded, they have a duty to provide their investors with the best chance of profiting; even if that means charging you higher fees. Not to mention, there are costs involved in running a brick and mortar location, or several of them. All of these costs go down to the end consumer in banking. By cutting the banks out of the process, it’s easy to avoid the miscellaneous nickel and dime type fees. Step #1: Check Your Rate – Simply fill out the form to check what your interest rate will be. Step #2: Sign Up – Sign up for Prosper by following the steps given to you. Step #3: List Your Loan – Using the system in place, simply list your loan. In your listing, include the purpose for the loan and all other information requested. Step #4: Wait For Funding – Now, you just need to wait for an investor to run along your listing and decide to invest in your loan. This could be fairly quick, or it could take some time depending on the credentials of the loan you’re asking for. Step #5: Agree To The Terms – Once an investor decides to invest in your loan, simply agree to the terms and the money will be sent to you shortly! Prosper is a great way to get a loan. Because it’s a peer to peer based co mpany, you pay fewer fees, less interest, and deal with fewer headaches. Overall, if you’re looking for a loan, there’s no reason not to look to Prosper! Also, check out Prosper investing options.